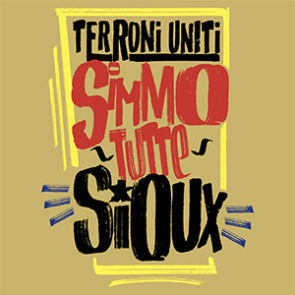 After the success of the song “Gente do sud“, which is taking Terroni Uniti’s message of hospitality and fraternity all over the country to Pontida, the Lega Nord’s stronghold where there was held an anti-racist concert, the collective of Neapolitan artists is back with a new single “Simme tutte Sioux” (“We’re all Sioux”), supporting a new cause, this time over the ocean. From Napoli to Standing Rock, the chant of the Terroni Uniti unites to the cause of the indigenous people living in the lands between North Dakota and South Illinois, crossed by the rivers Missouri and Mississippi. At the beginning of 2016 these people started a protest known as “NODAPL” (No Dakota Access Pipeline) against the building of an oil pipeline that violates a land considered to be sacred and that is going to threaten their water supplies. Protecting the Standing Rock Reserve, the “Water Protectors” defended for months a land they feel to be the watchpeople of, and not the owners, protecting water and therefore life. Terroni Uniti show their vicinity to the Water Protectors with this song, with also a video, directed by Luciano Filangieri, in which they share that feeling of concern for that land. Using indigenous words and symbols is not a form of cultural appropriation, but an attempt to spread the reasons of the protest, under the maximum respect and with the knowledge that music is the most powerful mean to send messages, so NoDapl but also No Tav, No Triv, No Expo, No Tap and no that globalisation that builds walls instead of tearing them down.